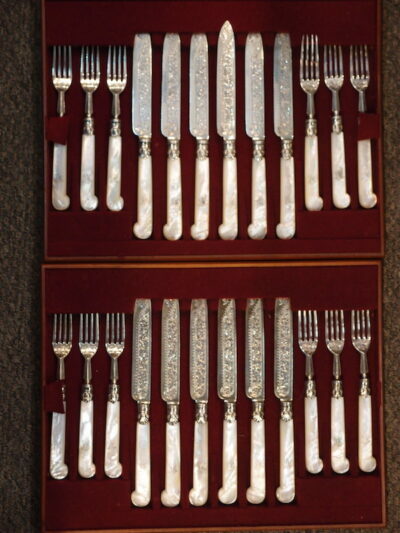 C1896 Sterling Silver and Mother Of Pearl Dessert Service for 12. 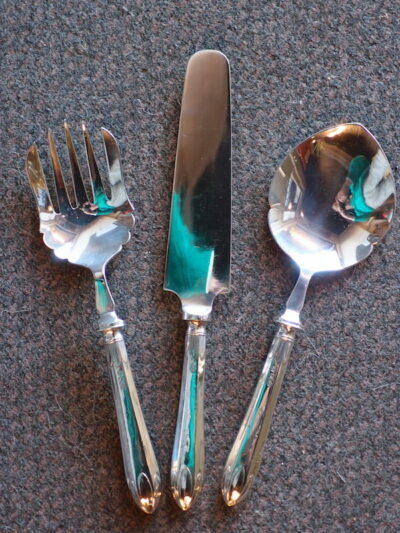 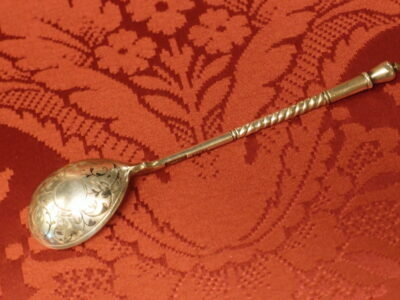 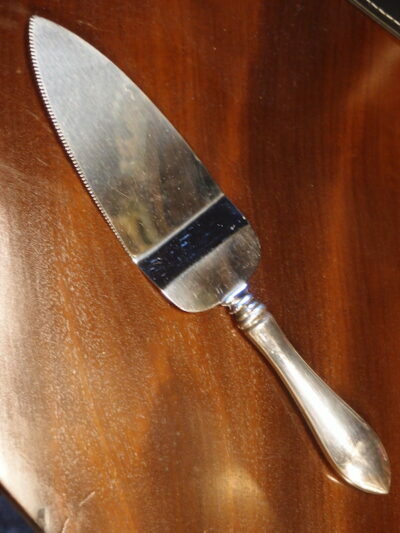 C1938 Set 3 Sterling Silver Handled Servers: cake lifter, salad servers. 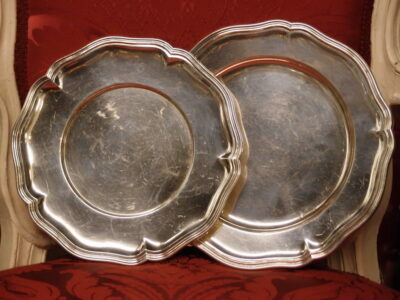 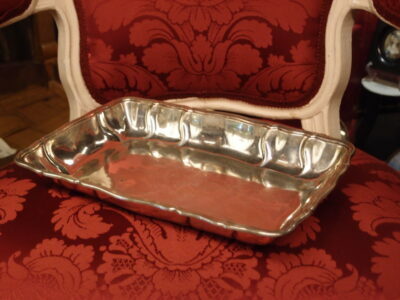 C1900 Hallmarked Solid 800/1000 Silver Plates. 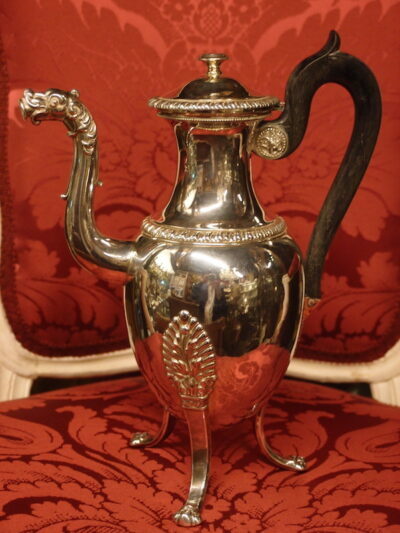 Imperial Court Supplier. 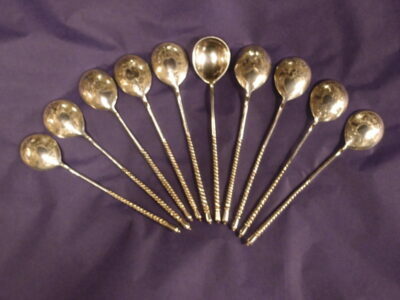 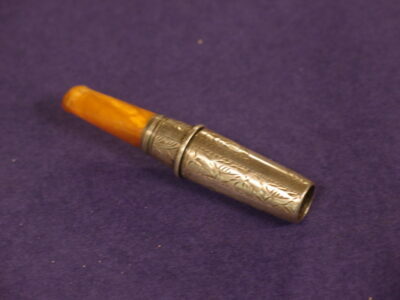 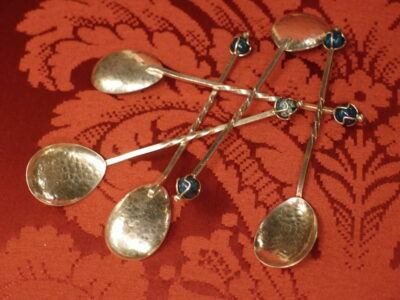 5 Australian Silver Spoons with Lapis Lazuli, possibly Sargison. 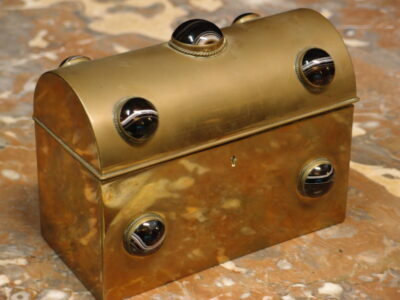 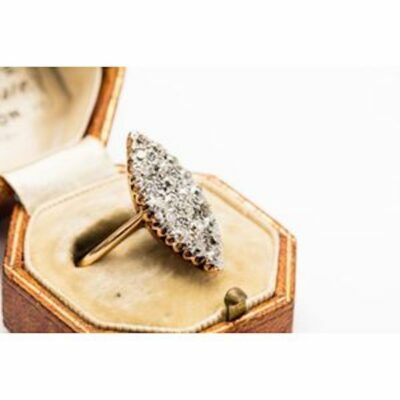 C1880 Brass Domed Casket with Sardonyx Cabachon Gemstones. 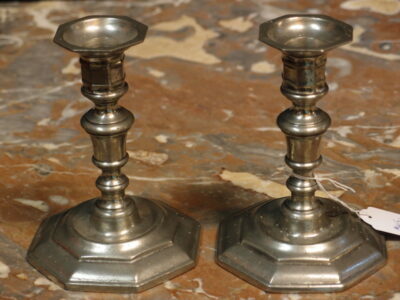 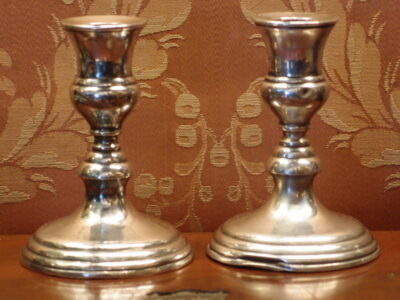 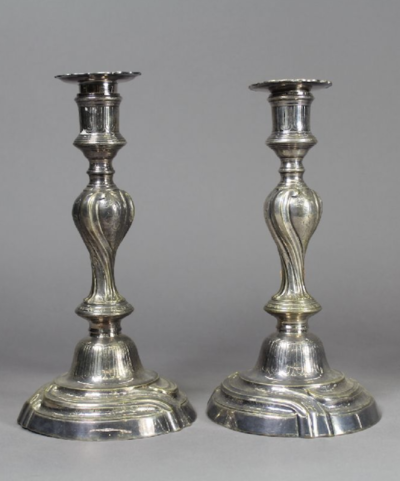 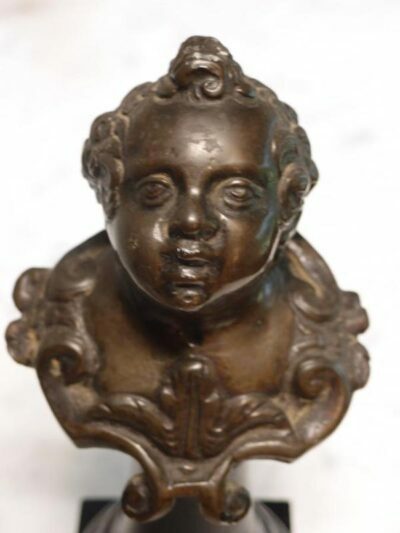 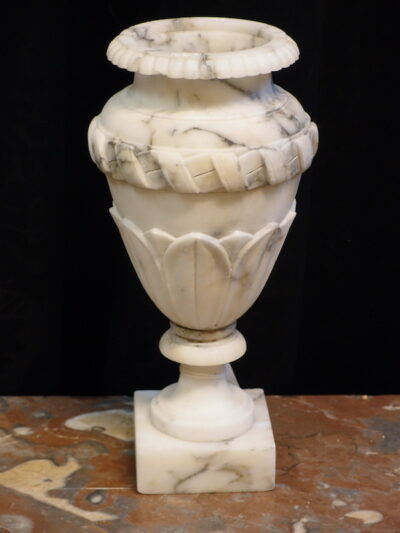 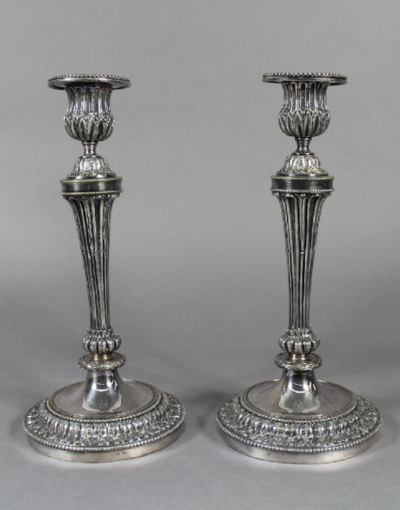 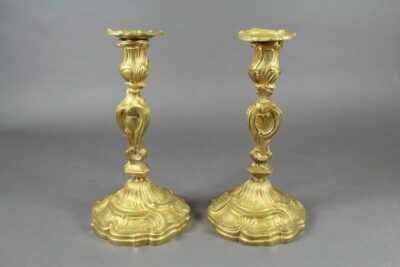 Recent Italian Pewter Candlesticks in the style of C1700. 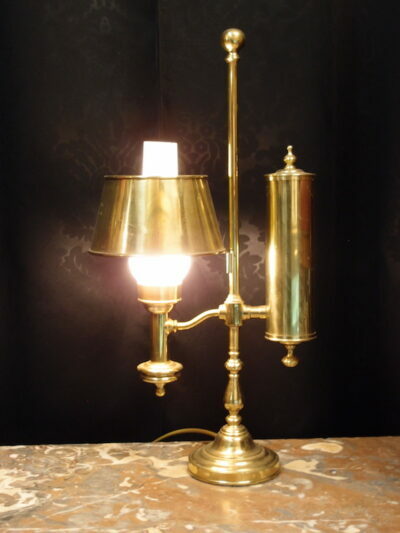 C1960 Electric Replica of a C1880 Argand Lamp in Brass.